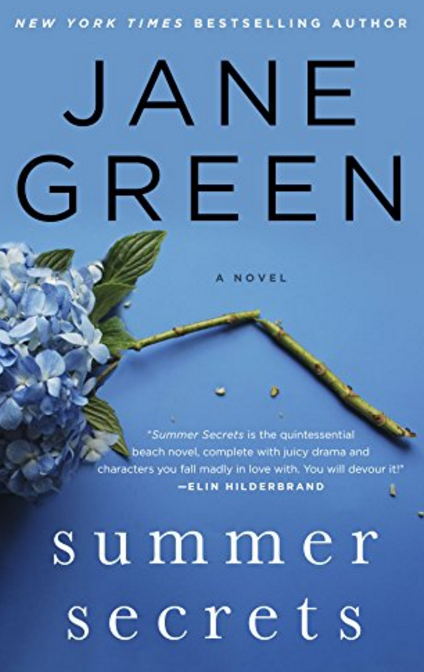 Summer Secrets || When I think of "beach reads" I instantly think of Jane Green. I was not ready for this book to end - I wanted to know more about what happened & I felt like the journey for the main character, Cat, was just beginning again. More than half of the book takes place in Nantucket - the ultimate summer escape. This book deals a lot with alcoholism and Cat's dependency on it, but it's her mother's secret that gives Cat the clarity that she has really been looking for. I was a little confused with the flashbacks - for a few chapter's you'd be in the present (2014) and then you went back to flashbacks, not only Cat's but her mothers' flashbacks as well. Overall it was a great summer read - definitely recommend, especially if you like Nantucket and the island life! 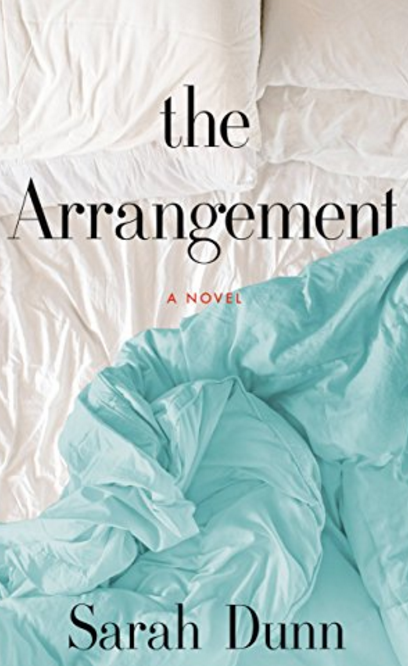 The Arrangement || I'm going to put it out there that this book will ruffle some feathers! It's a little cutting edge in the sense that the author deals with certain issues that are top of mind with the current state of the country, but only a little bit of that is woven in through the story. There were a lot of characters in this book, but not hard to follow because the main character's, Lucy & Owen, were always at the forefront of everything. This is about a couple that go into an open marriage after setting ground rules and an expiration date - only 6 months to this experiment. What ensues is both captivating and hilarious. The character development was wonderful in this book - there was a lot of dialogue and I love that while reading! Overall I thought it was a great read, a really different kind of book & I found myself turning each page with anticipation of what was going to come next! The Seven Husbands of Evelyn Hugo || I'm a huge fan of Taylor Jenkins Reid - she was my favorite author last year and every book of hers is riveting with such amazing character development that you feel like she leaves a little piece of the character with you. This was a departure from every other book she's ever written, but when you get to the core of the book it's actually written in the same way - a nice twist to keep you engaged!! Evelyn Hugo was and still is a celebrity when she asks a Monique to write her biography. Each chapter is a husband of Evelyn's and it takes you back to the age of Hollywood that was seriously glamorous but where everyone had a secret. The ultimate question of the book is to learn who her one true love really was. Even though TJR painted a picture of Evelyn I pictured her as Elizabeth Taylor!! I didn't think I'd like this book, but it was very entertaining!! If You Only Knew || Some Kristen Higgins books are really cheesy, but other's hit on every emotion making you feel very connected to each character. Sister's Jenny & Rachel both lead really different lives, are incredibly close & both have to to deal with things looking "nice" on the outside but aren't so perfect in reality. The chapter's alternate between each of the sister's and it draws you in to what each is going through. Between trying to stay true yourself after having kids, ex-husbands that still want to be friends and a secret that one sister has been keeping for 20 years- it's a page turner! Hope you have a great start to the week! If you've ready anything good, let me know! 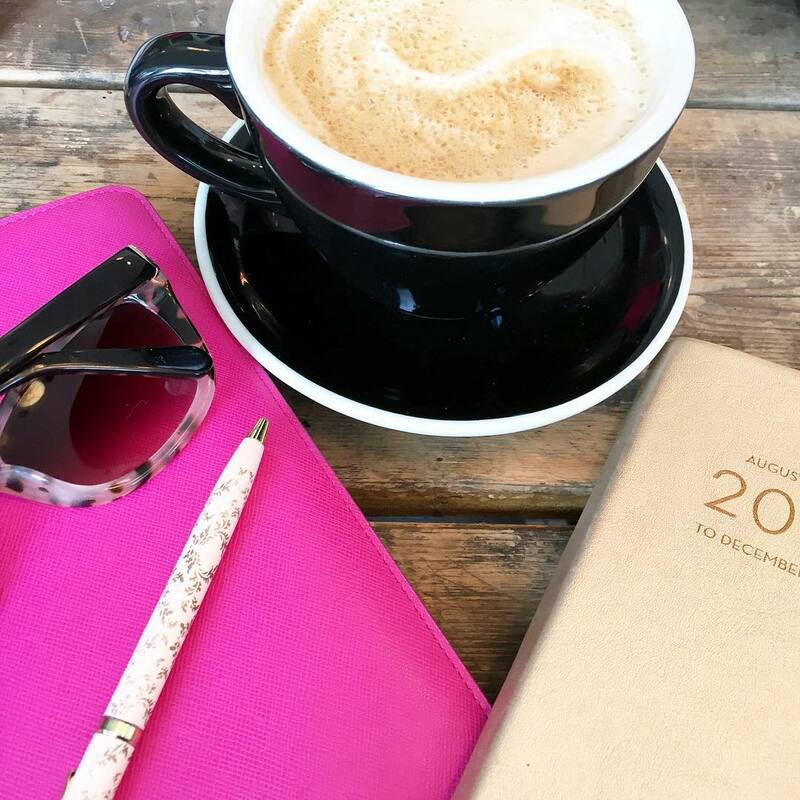 Link up below to share your weekends with us! I love adding to my Amazon wish list and I have not heard of most of these. Thank you! I always love new book recommendations!! Can't wait to check out some of these! Have a great Monday!! I've had a couple book duds this summer too but I love Jane Green so I'll have to try that one! CUTE summer dress pretty lady! Let's do this Monday thing!! Adding these to my list! And that dress is beautiful!! 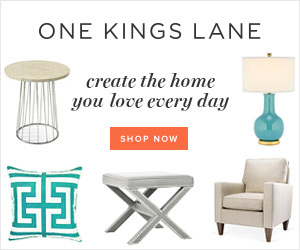 These books sound really good - especially the TJR and Kristen Higgins books! You can never go wrong with a Jane Green book. She's such a fun writer! I will have to check out the others, they sound like good reads too! I was just thinking how I need a Summer book you always have the best suggestions! First of all, this dress is darling! And so perfect with your bag! I always love these book reviews. I will have to add If You Only Knew to my list. I like that they alternate chapters, sounds like a good book! Happy Monday, BIana! What a fun dress! If you only knew sounds right up my alley! Loving your Loft Dress ! I haven't shopped at Loft for years, I might just need to go check out that dress if still available. I am always in my car anymore so, I decided to purchase a few book on Audible. Most recently Truly Madly Guilty and My Not So Perfect Life. Hopefully good reads too. Kinda feeling the same about my book selection too. Happy Monday Biana ! That dress is the cutest! I love the neckline! I've been wanting to read If You Only Knew. Thank you for the other suggestions! i love me some jane green and i think i would really like that book. and your outfit is too cute! happy week my friend! Saving these for when I have more time to read. I love good books. Oh I'm adding all these to my reading list. I'm currently reading The Nightingale by Kristin Hannah. It's so good!! Happy Monday! Hope it's a quick and easy. Thanks for sharing! I always love a good book recommendation! I just started Evelyn Hugo last night, so I can't wait to get more into it! The Arrangement sounds pretty interesting! And I am LOVING that dress on you, so cute! I've been making time to read more, and I'm adding all of these to my Goodreads! I especially love Jane Green. 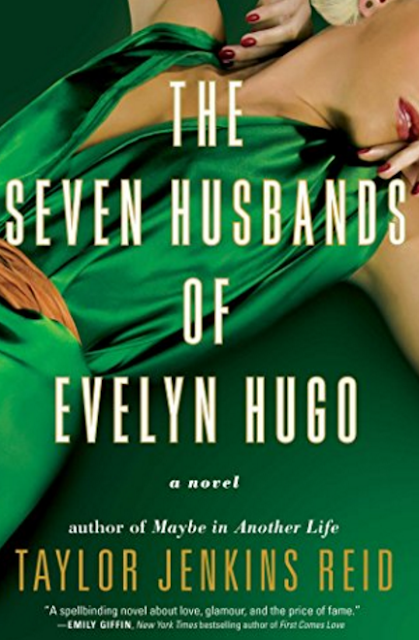 The Seven Husbands of Evelyn Hugo has been on my list! I have a growing stack of books to get to. I need more time!! I love that you compared the dress to the Sisterhood pants lol! I just wrote down the Jane Green book so I can download it immediately! Again, I always LOVE your book posts! Summer Secrets sounds amazing especially since it took place in gorgeous Nantucket! Will definitely be picking that up. I'm currently reading The Winter Garden and I just had to recommend to you! It's AMAZING! The Arrangement sounds like a unique read for sure...might have to read that one! I really enjoyed Evelyn Hugo. Jane Green is always a favorite beach read of mine. I think I already added the Arrangement to my TBR and I am definitely adding If You Only Knew, sounds good! My bff just got done reading The Arrangment and loved it! I might have to start this one asap! Happy Monday! All of these sound amazing to me. I'm usually a 'meh' person & an only pick one book from a list of reviews... but yeah, I'd totally check all of these out. These sound great. Especially The Arrangement and If You Only Knew. First off, how gorgeous do you look?! I love when you share outfit posts, girl. 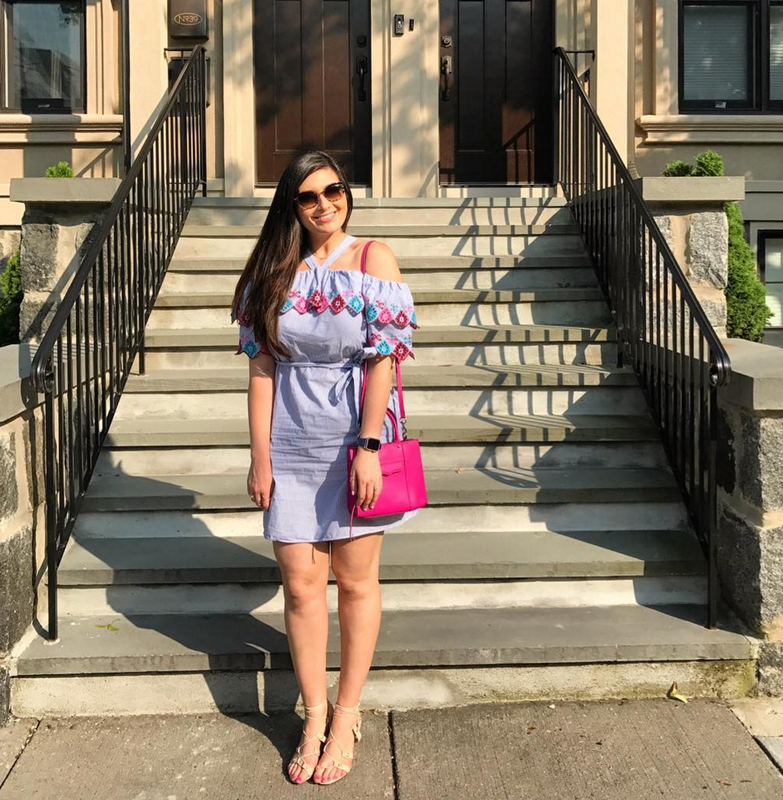 This dress is super cute (I love Loft finds) and the fact that it's a practical take on the OTS trend is a huge bonus, as well as the gorgeous embroidered details. Wow, some of these books sound like quite the read, haha. The Arrangement sounds like it's full of drama. I've always wondered how couples manage to accept this, perhaps this would be enlightening in gaining their perspective. 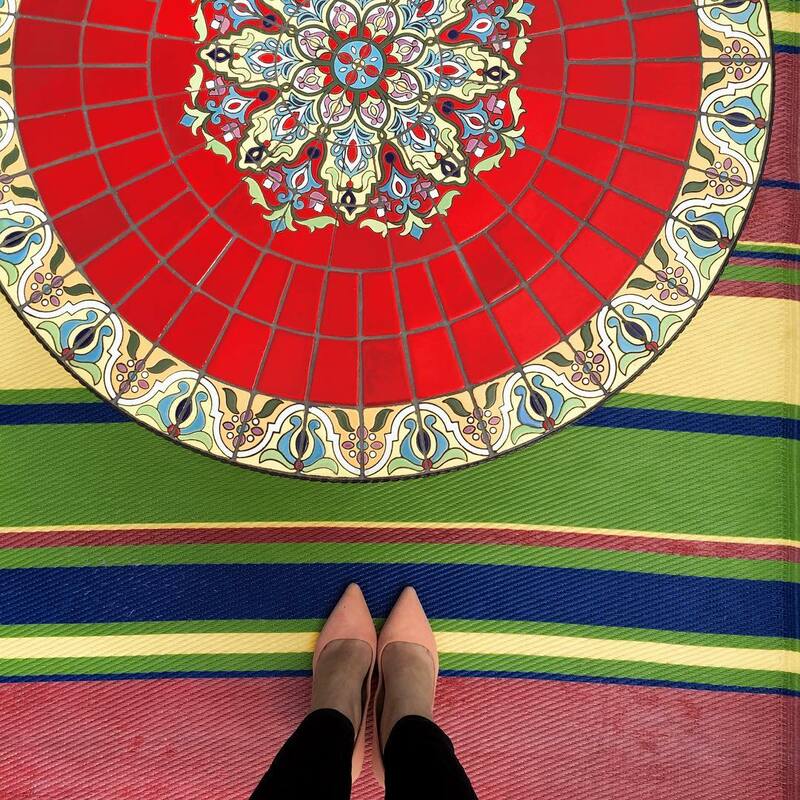 Thanks for sharing, beautiful, and I hope you have a wonderful week ahead! Oh my gosh, so many good reads. I have so many books to add to my list. Love how some ruffle feathers and go into things that make us uncomfortable. I love books like that. I've been reading so much lately and am always looking for new books! I'll definitely have to give these a look! I've read some great books recently so if you need some recommendations, let me know. But if you're in a slump, don't force it. Let the mojo come back to you in time. It's always a bummer when the books you start you can't quite get into, but at least you've read a few solid ones lately! I still haven't read a TJR book yet, but I'm hoping to pick one up soon! Everybody has been raving about her new one, so I can't wait to read it one day! I have been looking for new book to read and will look more into it. Thanks for the awesome picks! All of these are going on my list! Thank you for your reviews! I haven't been in the best book mood this summer either. I did enjoy The Guest Cottage by Nancy Thayer though, great summer romance/beach read! i totally agree about jane green and beach reads! the arrangement sounds interesting, doesn't TJR have a book like that? i forget what it's called... but it's the only one of hers I haven't read. after i do? anyway. 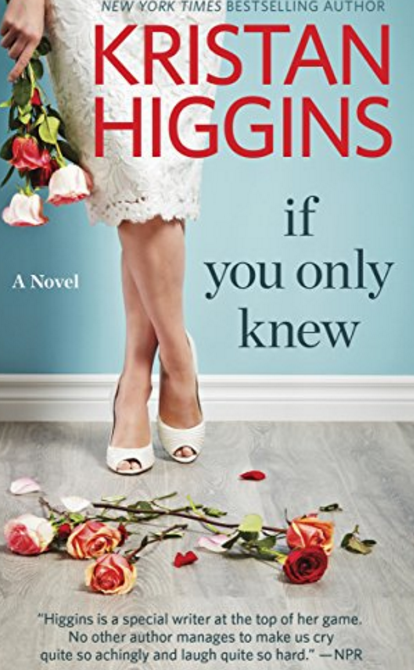 haven't read anything by Kristan Higgins so i'll have to add that one to my list! Love the dress on you and cannot wait to check out these reads! They all sound so fun! I'm definitely reading the Evelyn Hugo book because I love all of TJR books and now you've made The Arrangement sound so interesting! I didn't think I would love Evelyn Hugo either, but it was really interesting! I think I have The Arrangement on my Kindle. I should read it soon! I always love your book recommendations! Can't wait to read some of these! I've read a bunch of your recommendations and will be adding these to my list. I haven't been reading AT ALL lately- but these sound like some that could get me back in the groove! I have been in the same boat lately, lots of books started – and none of them finished! I just tore through "the light we lost" on my plane ride to NYC and it was amazing!! Total page turner!! I love old Hollywood so the 7 husbands of Evelyn Hugo sounds right up my alley! Summer Secrets sounds like my kind of book! Thanks for the reviews! That last one sounds very good. I like a cheesy book that pulls you into the characters. :) I'm currently reading the Wishcraft Mystery novels by Heather Blake. I need to check these out!! These books sound really good ! Thanks for sharing ! Love your book reviews! I got all kinds of sidetracked this month listening to podcasts but hope to knock off a few books before school starts!